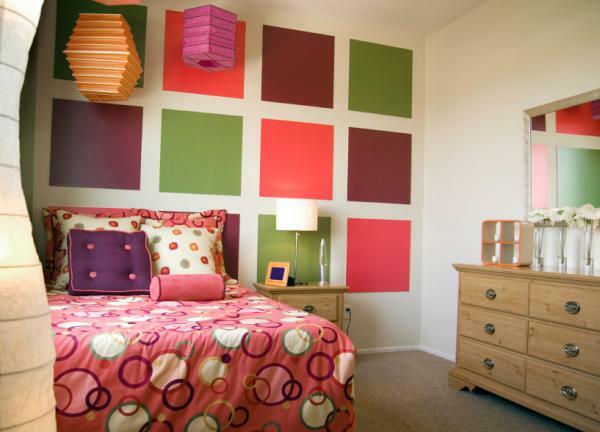 Color blocking is fun and sure way to refresh your home and bring more energy and color to it. So how does it work? Pretty much the same as with your wardrobe. You study the color wheel and pick the colors that go well together. They contrast in a nice jazzy way with each other without going gray or looking too garish. Then you work out the hues. The colors you choose for painting your walls using color blocking technique should be bold, bright and pleasant to the eye. The combination should also be easy on the eye but attract attention. Bright doesn’t have to be eye-watering but if color blocking with many different colors is too much for your eyes to handle you can always throw in neutrals. In fact that what you should do anyway, not to go insane from the range of different bold colors in your house. Color blocking is not only about the wall paint. Pillows and wall decorations are great for practicing a color blocking technique. The same principle works here, you take the good combination of colors and scatter them across the room in pillows, chairs and other furniture, on the walls. Use painted framed paper to create color blocking on your walls against some neutral background and back it up with a bright rug or accessories. The thing about color blocking is that you really can use as many colors as you like and combine them on a feature wall in your room or use it in accessories by, for instance, piling bright pillows of various colors together. All this makes your interior design even more interesting and complex. Experiment, mix and match colors in samples in your design kit and see what combination suit your preferences and taste the most. Try unconventional color mixes, match the unmatchable. 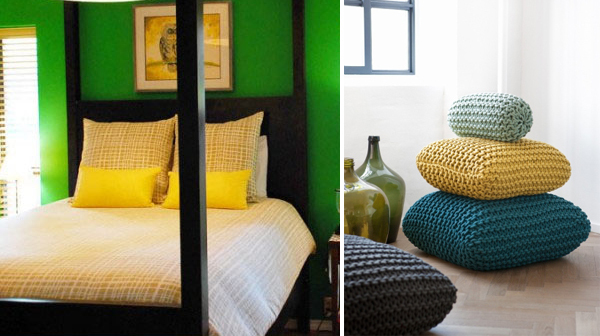 Decide whether you want to use color blocking subtly: only in accessories and accents or you want to go “global” and paint your walls or even exterior in bold color blocks. 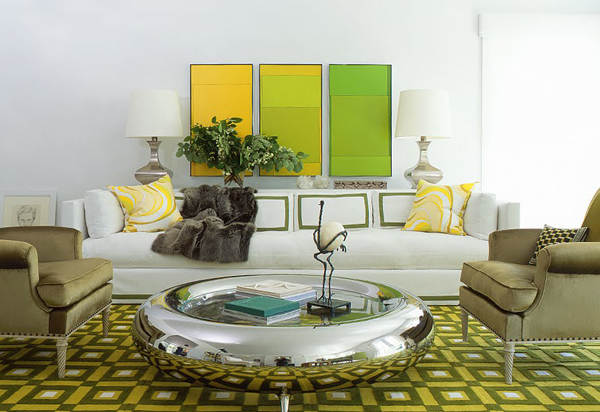 LOVE the chrome-round coffee table in your first photo – where can I find it? 🙂 Thanks!